I've been trying to figure out how to start this blog and I guess the best way is to just say hi and introduce myself. My name is Kelly and I'm a music educator in Texas. I love to craft, create beautiful things (that don't always come out so beautiful), play around with technology (PPT and Photoshop come to mind) and help others in the classroom. I am currently taking a break from having my own classroom full-time, though you can usually find me substituting in one somewhere in town. 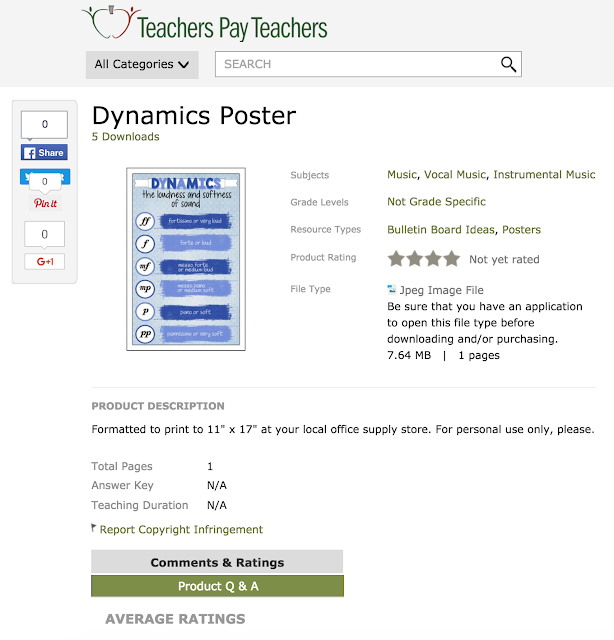 I currently have both an Etsy shop and a TpT store with educational materials suited for the elementary music classroom. You can also visit RhythmicallyYours on Facebook and Pinterest. 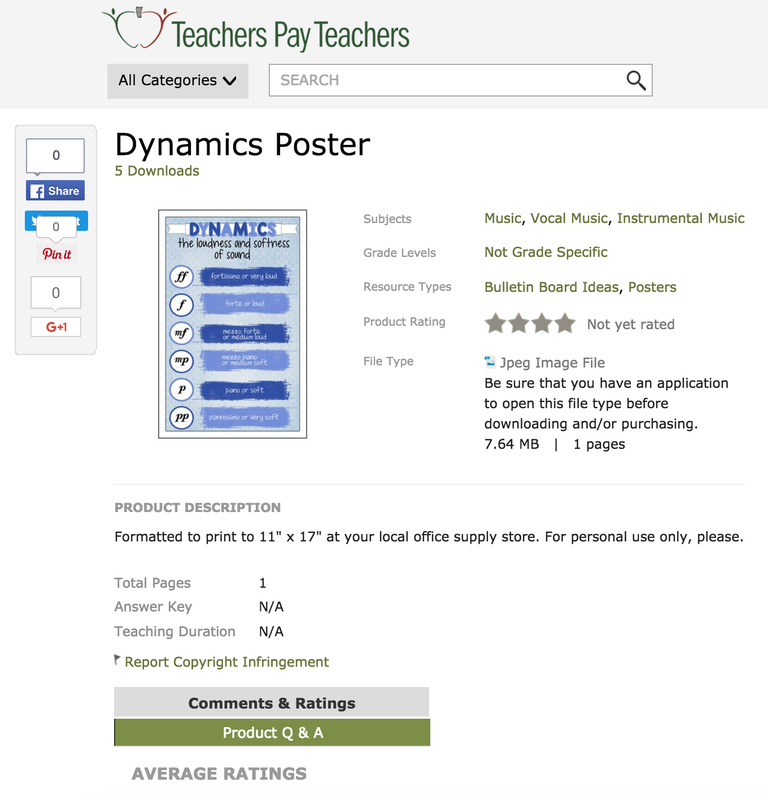 I have a variety of products from digital paper to posters to hands-on manipulatives, but for an example, head over to TpT to download this dynamics poster for free.